During a conference call discussing Tesla’s second quarter financial results earlier this month, CEO Elon Musk said that the automaker was expecting its percentage of new vehicle leases versus direct purchases to significantly increase during the next quarter and now we know why. 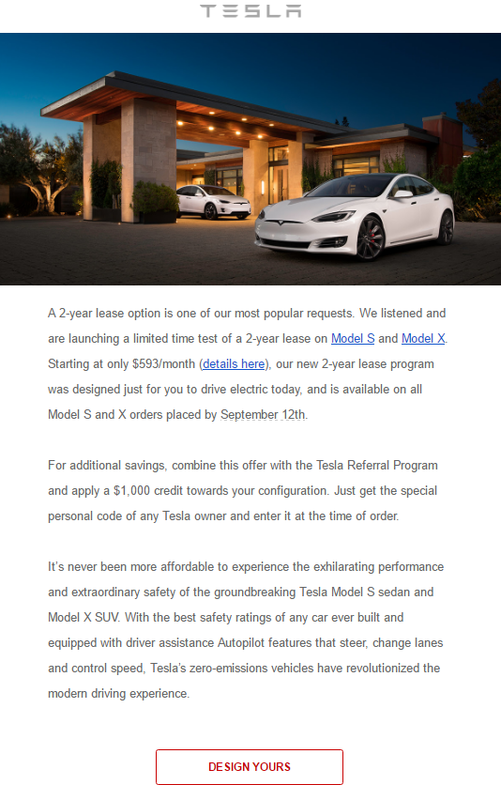 Tesla introduced last night a new 2-year lease option for the Model S and Model X that brings the entry price to driving Tesla vehicles down to only $593 per month, but only for orders placed by September 12th. A 2-year lease option is one of our most popular requests. We listened and are launching a limited time test of a 2-year lease on Model S and Model X. Starting at only $593/month, our new 2-year lease program was designed just for you to drive electric today, and is available on all Model S and X orders placed by September 12th. 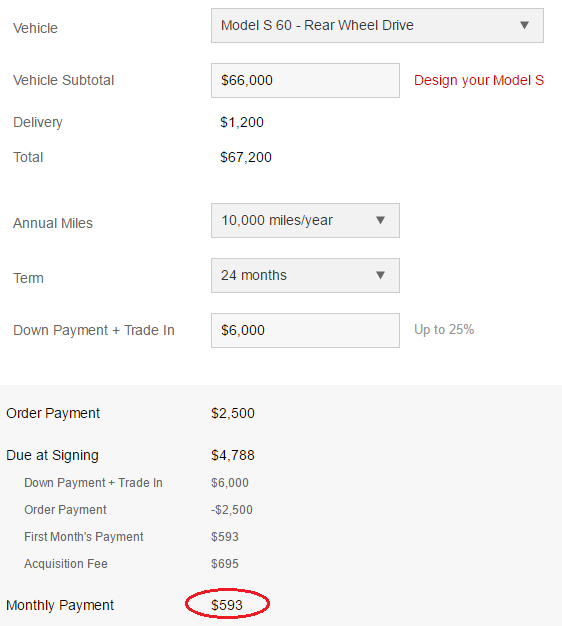 The new 2-year timeframe is perfect timing for someone wanting to reserve a Model 3, but who would also like to drive a Tesla right now at the lowest cost possible until the Model 3 becomes available for purchase since with ~400,000 reservation for the vehicle, someone placing a reservation right now shouldn’t expect to get the Model 3 for another 2 years.